Alexander Pereira’s appointment as General Manager of La Scala came with the usual chorus of protests which accompanies almost all changes at this highly conservative theatre, and there was even a touch of scandal over his complex financial wheeling and dealing with Salzburg. One of the ideas ‘hired in’ from his old stomping ground in Austria was that of presenting reduced operas for children. 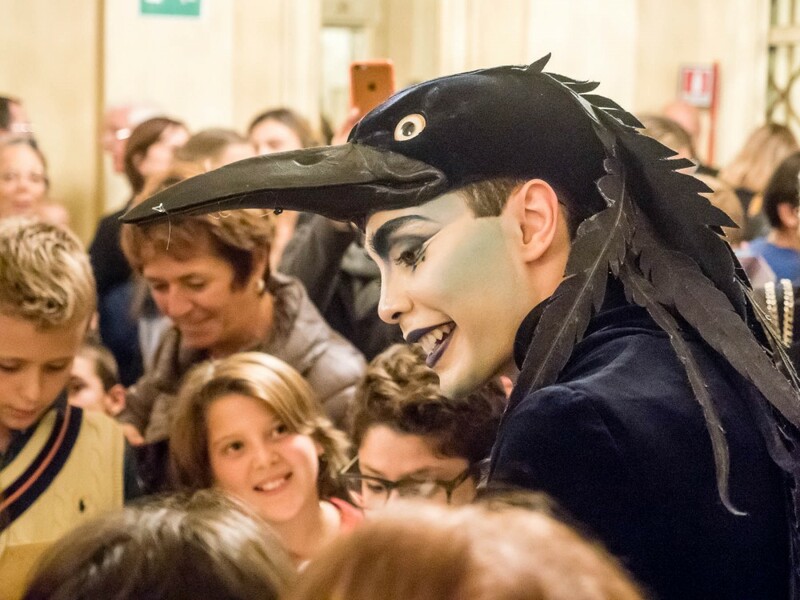 In the past, La Scala’s effort to involve schools and families had been to offer maybe one act of a two-act ballet, the full version going out in the evening for an adult public. Hardly ideal. Rossini’s Cenerentola is one of those operas which is now being proposed, as Pereira comes to the end of his first season at the opera house. The opera has been trimmed down to an hour and twenty minutes, with reduced orchestration, and the Baroque-sized ensemble on a raised orchestra pit allowing the young audience to see the players as well as the singers. 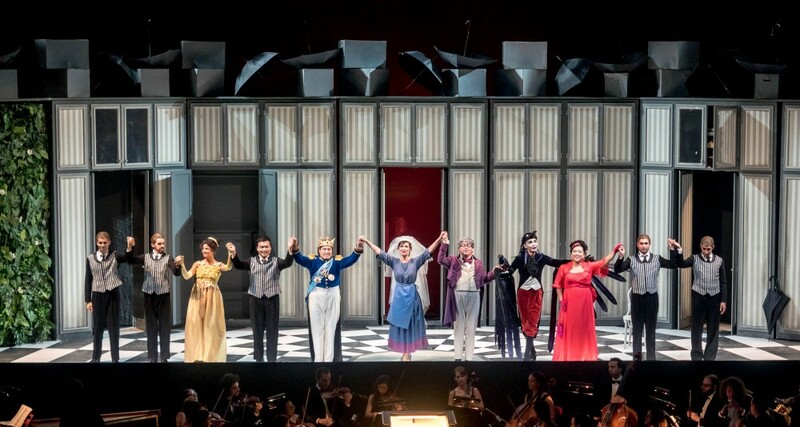 The main characters are taken by singers from La Scala’s excellent Academy. There is no chorus, but four mime artists and a jolly rotund actor, Michele Nani, who plays Rossini. Luigi Perego has designed a simple but effective crescent of doors and cupboards which ingeniously rotate to quickly transform Cinderella’s house to the Royal Palace and back again. Dorothea Nicolai’s costumes are unpretentious and colourful, and Ulrich Peter’s staging is witty and brisk. Rossini talks directly to the young audience giving a little history along with the plot summary. Readers of this blog may remember the outstanding Lilly Jørstad who, the morning after her final triumphant performance as Rosina together with Leo Nucci at La Scala in August, received a letter telling her that she would not be admitted to the second year of her course at the Academy. 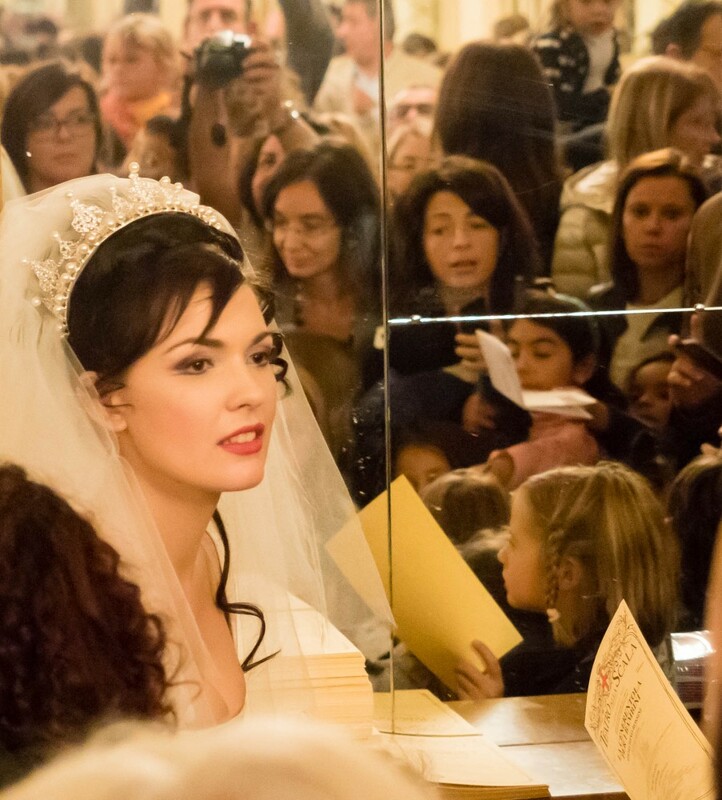 The Teatro alla Scala – a separate entity – however renewed her contract so sing on its hallowed stage in the lead role of its Cenerentola for children, alongside her fellow students who were deemed worthy of the Academy. It is a mystery that only deepens after hearing her again, with her natural warm mezzo colour, easy coloratura and winning stage presence! Lilly Jørstad is a Rosina who makes you sit up and listen, precise in her singing and true in her interpretation, with a proficient coloratura in both in her entrance aria and the rondo of the lesson scene. While it’s true that none of the ‘student’ singers were perfect – which is presumably why they are putting the finishing touches to their technique at the Academy before heading toward the international stages – no one would complain to find them on any professional stage in Italy, or indeed elsewhere. Like Jørstad, several of the cast were also featured in the Expo Barber of Seville: Edoardo Milletti was the Prince, and although he doesn’t possess a big voice, it travels up effortlessly into the stratosphere; Giovanni Romeo is a first-rate comic and vocally perfect for Don Magnifico; Fatma Said played a bright yet spiteful Clorinda; Celeste Bang, as Tisbe, was a riot with her grumpy spoilt-brat face and also has a pleasing mezzo; Barbiere’s Fiorello, Kwanghyun Kim, has an impressively focused and strong baritone and was a good foil to the Prince as Dandini; and Oganes Avakyan played an intriguing and elegant Alidoro, dressed as a black bird throughout, though his name might suggest a golden one. During the curtain calls, with the orchestra playing through – what a good idea! – Rossini quietened the auditorium to announce that the cast would meet the audience in the foyer… bedlam! Wide-eyed children gazed in disbelief at these characters that they’d just seen on stage… they could touch them, they were real. In these days of virtual reality games and cinematic special effects it was heart-warming to see that a 200-year-old opera, some vocal cords and catgut could still work their magic. Terrific article again – GREAT that young stars are getting to know potential stars directly! As usual, a great and very interesting article. And it is so good to know about the cast going to meet the audience, what a marvelous idea, specially considering this specific audience, it must have just enchanted the children. Just beautiful ! Lilly Jorstad ist just a good-looking soubrette, her voice is no more than nice. She doesn’t have a potential to be a soloist.